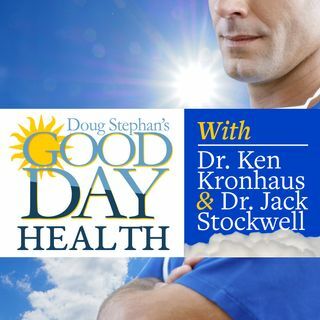 Dr. Ken Kronhaus - Sunscreen Banned in Hawaii! What!!! Host Doug Stephan talks about his friend, who just lost his battle with Non-Hodgkin's Lymphoma, and Dr. Ken Kronhaus explains what it is. Doug asks Dr. Ken about how he makes patients comfortable in their final days. Next, could anxiety lead to Dementia? Did you know that people who grow up on or near farms have fewer allergy problems? It's true, Hawaii has banned certain types of Sunscreens. Finally, news that four to seven Saunas a week can reduce your risk of stroke by 60%.